The image had actually been shot at a Congress event in Telangana in December. 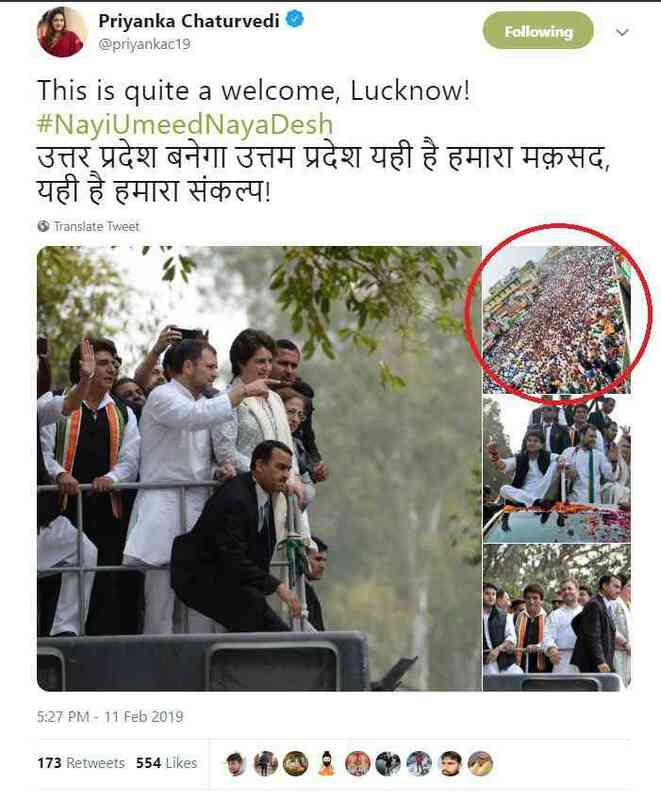 “This is quite a welcome, Lucknow!” tweeted Congress leader Priyanka Chaturvedi, as Congress president Rahul Gandhi and Priyanka Gandhi kicked off a rally in Lucknow on February 11. 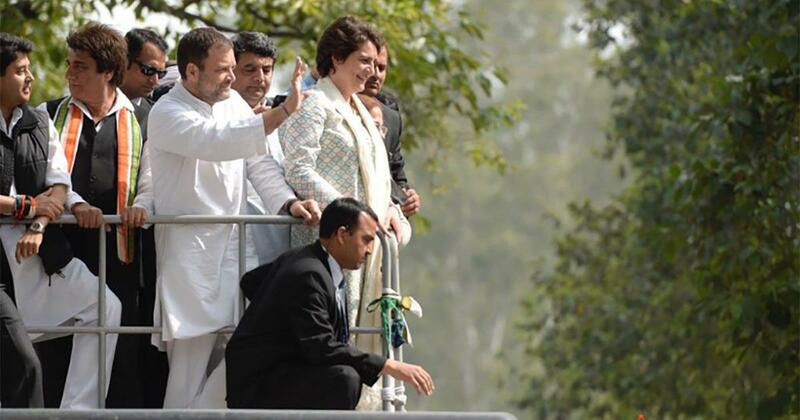 Showcasing the supposed popularity of the Gandhis was a set of photographs posted along with the tweet. The tweet has now been deleted, but the archived version can be accessed here. Chaturvedi had posted four photos, of which the second photograph showed a massive crowd. 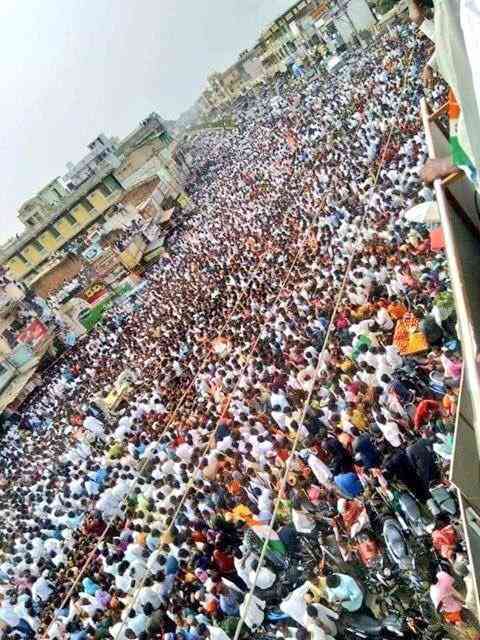 The same image was posted by many Congress supporters on various social media platforms, claiming it showed the Lucknow rally. 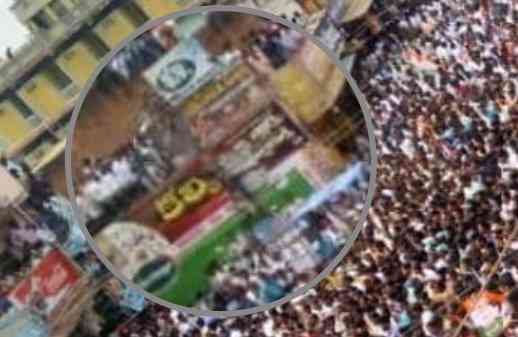 However, zooming into the image, one can see that the script painted on some buildings is of a South Indian language, which would not be typically unusual for a rally in the capital of Uttar Pradesh. 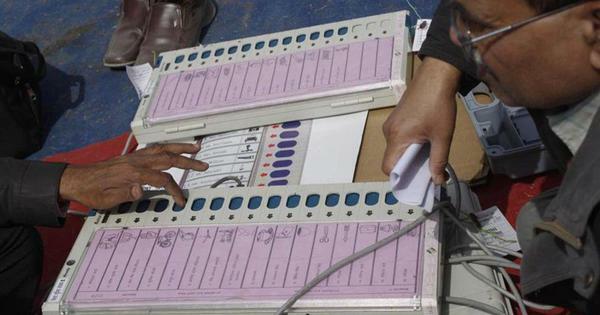 As it turns out, the photo was not taken at the rally held by Rahul Gandhi and Priyanka Gandhi in Lucknow, but at a Congress party’s roadshow in Telangana in December 2018, ahead of the assembly elections in the state. In fact, the same photograph had been tweeted by former cricketer and Congress leader Mohammed Azharuddin on December 5, 2018. It was also posted by a Youth Congress leader. After deleting her initial tweet, Priyanka Chaturvedi later posted another tweet, acknowledging her error. Here goes...corrected...Poor BJP trolls clutching at straws to save their leader’s face in U.P. !